IS PRIVATE PROPERTY DAMAGED BY PUBLIC USE, “TAKEN” FOR A PUBLIC USE? 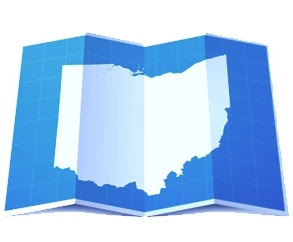 Earlier in the year (February 2, 2009), we posted on our Site a blog dealing with the issue of whether or not extraordinary delays in issuing permits constituted a “taking,” requiring just compensation be paid pursuant to the Ohio and United States Constitutions. The Supreme Court in State ex rel. v. Middlefield, 120 Ohio St.3d 313 (2008), answered in the affirmative, but only if governmental bad faith is proven, and there is no property owner delay. Another “out of the ordinary takings case” was recently decided by the Ohio Supreme Court on March 5, 2009: State ex rel. Blank v. Beasley, 121 Ohio St. 301, 2009-Ohio-835. In Blank v. Beasley, the Court was faced with the question of whether or not private property that is damaged by public use constitutes a taking for public use. If a taking is proven, Ohio law requires that public authorities initiate appropriation proceedings so that “just compensation” is paid to the property owner. State ex rel. Blank v. Beasley was actually a combination of two actions resulting from similar claims in connection with the Ohio Department of Transportation’s widening of State Route 5 through Cortland, Ohio, including upgrading curves, sidewalks and drainage. To complete the project, the Department required easements over the properties in question, perpetually (to construct and maintain storm sewers) and temporarily (to construct drives and grade the properties). Since ODOT and the property owners could not reach an agreement amicably, ODOT filed appropriation proceedings to “take” the easement rights and establish just compensation for such rights as required by law. There was no dispute regarding the easements being “takings” requiring just compensation. The dispute arose because both property owners complained that other “parts” of their properties were appropriated (and they should be adequately compensated for same), as a result of ODOT trucks using existing parking lots to park and stage equipment (also damaging the lots), and various damage claims. The damage claims including breaking of sewer lines; hitting support posts; moving water lines (causing water backup) and breaking of gas lines. The Director of ODOT argued that the damage claims did not rise to the level of a constitutional taking of private property, because they were claims for damage caused by negligent or other tortuous conduct of the State’s contractors, and consequently, the damage was “unrelated” to the public use of the project. The property owners replied that the further damage and intrusions resulted directly from the work being performed on the appropriated property and the State should have anticipated this. Neither party argued about the extent of the damages. The sole issue was whether or not the damage and other intrusions were “takings” requiring just compensation from the State of Ohio. The Court answered the issue affirmatively, and negatively. Yes, the State’s operations and/or parking of heavy construction equipment on the property owners’ parking lots (and the ensuing damage of same) constituted a taking; and no, the other damages did not constitute a taking. In justifying its holding, the Court first acknowledged that Ohio only guarantees just compensation when private property is taken for public use, in contrast to constitutions of other states that guaranty compensation for private property that is taken for or damaged by public use. Notwithstanding that acknowledgment, however, the Court reasoned that there were situations where damage by public use would constitute a taking by public use. The Court cited decisions where the property owner established that the damage was intentionally directed at their property. In those cases, the damage would constitute a taking according to the Ohio Supreme Court. On the other hand, the Court (quoting decisions from Ohio, Wyoming, Connecticut; and treatise authority) explained that “if damage for which recovery is sought is a result of negligent construction, recovery may not be had in a condemnation proceeding; the owner is relegated in such cases to a common law action for damages”. It was these “negligence related decisions” that led the Court to conclude that the pipe breakings, and other related damages in Blank v. Beasley were the cause of the contractor’s negligence, not foreseeable by ODOT, and not, therefore, compensable as a taking of property. The Court in Blank v. Beasley, however, determined that ODOT’s parking and operation of the construction equipment in the parking lots (and the damage they caused) was not mere negligence. While the State may not have intended the parking lot damage, given the weight of the equipment and the extent of the encroachment, the Court held that the State acted with “knowledge amounting to a substantial certainty” that its conduct would cause such damage, and that was good enough to constitute a taking. If it seems that the Majority’s justification for its conclusion “comes out of the blue,” you would be in good company as the two dissenting Judges in this decision said exactly that. From the property owners’ vantage point, however, this case seems to widen the “spectrum definition of takings,” to include “public damages” that were not necessarily intentionally caused, but resulted from foreseeable circumstances beyond mere negligence. Governmental agencies can argue, however, that the Court in Blank v. Beasley clarified its holding, reiterating that the foreseeability of the damage is a “factor of great weight,” but “not wholly determinative” of the issue.